1966 – U.S. Public Health Service recognizes work organization and stress as developing occupational safety and health concerns.1970 – The Occupational Safety & Health Administration (OSHA) Act of 1970 charges NIOSH with the responsibility for investigating behavioral factors and stress as etiologic agents for occupational disease and injury. 1977 – A report on “Work in America ” is commissioned by Elliot Richardson, Secretary of Health Education and Welfare. 1988 – NIOSH recognizes psychological disorders as leading occupational health risk. 1990 – APA and NIOSH begin partnership to promote the new area of occupational health psychology. 1990 – APA/NIOSH international conference on Work and Well-Being is held in Washington , DC . 1991 – OHP field is formally acknowledged in the American Psychologist. 1992 – APA/NIOSH international conference on Stress in the ’90s is held in Washington , DC . 1993 – APA and NIOSH enter into a cooperative agreement to fund post/doctoral training in OHP. 1994 -1997 APA and NIOSH fund seven postdocs in occupational health psychology. 1994 – The Journal of Occupational Health Psychology is founded. 1995 – APA/NIOSH international conference on Work, Stress, and Health is held in Washington , DC . 1996 – NIOSH places work organization among its highest research priorities. 1997 – APA and NIOSH enter into a cooperative agreement to fund the development of graduate-level-curricula in OHP. 1998-2001 – APA and NIOSH fund 11 universities to develop and implement OHP graduate curricula. 1999 – APA/NIOSH international conference on Work, Stress, and Health is held in Baltimore, MD. 2000 – International Coordinating Group for Occupational Health Psychology is established. Source: Science Directorate of the American Psychological Association. (2002). Psychological Science Agenda, 15 (1), 5. 2003 – APA/NIOSH international conference on Work, Stress, and Health is held in Toronto, ONT. 2006 – APA/NIOSH international conference on Work, Stress, and Health is held in Miami, FL. 2008 – APA/NIOSH/SOHP international conference on Work, Stress, and Health is held in Washington, DC. 2009 – APA/NIOSH/SOHP international conference on Work, Stress, and Health is held in San Juan, Puerto Rico. 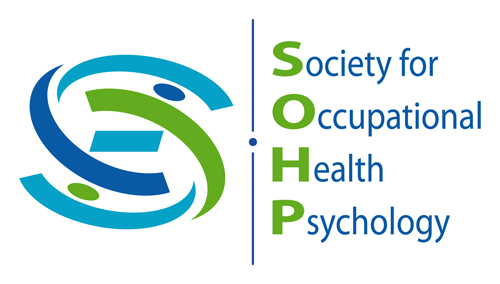 2015 – APA/NIOSH/SOHP international conference on Work, Stress, and Health is held in Atlanta, GA; Occupational Health Psychology Summer Institute is held in Halifax, Nova Scotia. Adkins, J.A. (1999). Promoting organizational health: The evolving practice of occupational health psychology. Professional Psychology: Research and Practice 30: 2, 129-137. Quick, J.C. (1999). Occupational health psychology: The convergence of health and clinical Psychology with public health and preventive medicine in an organizational context. Professional Psychology: Research and Practice 30: 2, 123-128. Raymond J.S., Wood D.W. & Patrick W.D. (1990). Psychology training in work and health. American Psychologist 45, 1159-61. Sauter, S.L. & Hurrell, J.J. (1999). Occupational health psychology: Origins, content, and direction. Professional Psychology: Research and Practice 30:2 117-122. Sauter, S. L., & Hurrell Jr, J. J. (2017). Occupational health contributions to the development and promise of occupational health psychology. Journal of Occupational Health Psychology, 22(3), 251-258. Sauter, S.L., Hurrell, J.J., Jr., Roberts-Fox, H., Tetrick, L.E., & Barling, J. (1999). Occupational health psychology: An emerging discipline. Industrial Health, 37, 199-211. Schneider, D.L., Camara, W.J., Tetrick, L.E., & Stenberg, C.R. (1999) Training in Occupational Health Psychology: Initial Efforts and Alternative Models. Professional Psychology: Research and Practice 30: 2, 138-142. Westlander, G. (1994) Training of psychologists in occupational health work: Ten years of course development- Experience and future perspectives. Eur Work Org Psychology, 4, 189-202.